How can a giant can of iced tea cost less than bottled water? It's just one of the many enigmas plaguing your local gas station/bodega. Who feeds these cats? Why does it smell like chlorine? Am I allowed to pour out my Slurpee if I don't like it? 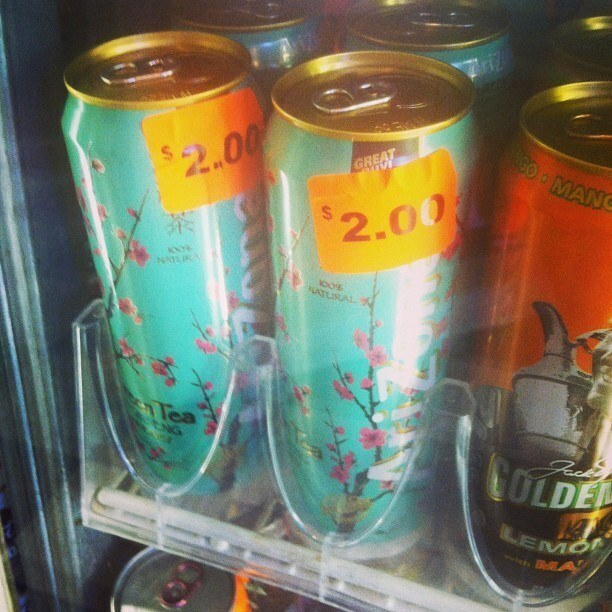 AriZona Iced Tea -- and the rest of the AriZona roster -- costs a decidedly modest 99 cents a can. That's less than pretty much any other drink you'll find on any shelf, even water, a basic human right. And that 99-cent mandate is stamped right on the can (much to your deli owner's dismay). Well, I have some great news: AriZona's price point is deliberate, continues to be economically feasible, and is definitely not going anywhere anytime soon -- according to Chief Marketing Officer & Co-Owner Spencer Vultaggio (son of company founder, Don), who probably knows better than anyone else in the world... so let's trust him. Have you ever seen an AriZona Iced Tea advertisement? Exactly. That's not a mistake fool! And it's a big part of the 99-cent initiative AriZona, founded in 1992, has stuck with over the years. "We've been 99 cents for more than 15 years now," Vultaggio said of the family-owned and -operated company. "It's a big part of our overall strategy, and our business model is such that we don't advertise for example, and we put those costs towards giving our consumer the value they want and expect." 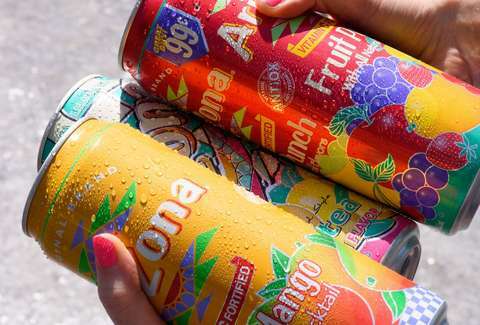 Let me translate that from business-speak: Vultaggio and the team behind AriZona keep costs down by nixing things like expensive ad campaigns so they can deliver their product at a super-low price -- a price that hasn't been adjusted since the early aughts. "We feel like it's more important to spend money on something that our customer really cares about, instead of buying billboards or putting our cans in the hands of some celebrity for a few minutes," he added. They made their drinks 99 cents to make a splash, and it worked damn well. So they just decided to roll with it -- and it's become a big part of their marketing strategy, in itself. Aside from drawing the focus away from things like aspirational advertising, the company has been forced to keep efficiency a priority in order to keep that 99-cent mandate alive... without screwing with its beloved formulas. "It comes down to incorporating new technology into our entire process," Vultaggio said. "We pack our cans at almost double the speed as we did in the late '90s, we've thinned out the cans using 40% less aluminum and using more recyclable materials. In terms of shipping costs, we move our trucks at night now to avoid traffic, we produce in more than 40 factories across the country so our trucks often don't have as far to go. It's really about working smarter." So, as far as water -- or any other mass-produced drink -- goes, many manufacturers simply need to mark up what they are selling because of inefficient production practices, or because they are shelling out millions so Matthew McConaughey will say their agua tastes better than the first breath of summer morning, or is a flat circle, or whatever. To AriZona, that's money wasted. "We see this sometimes, sure -- I think sometimes it's just a joke. But yeah, we definitely try to protect that suggested retail price because, again, the price is part of us. That being said, it's hard to police that, nationwide," Vultaggio said. So if you see this happening in your local store, please write your local congressman/woman! YOU ARE MESSING WITH THIS COMPANY'S ENTIRE ETHOS. "The cans are synonymous with 99 cents now. Our fans love it. They recognize it, and it's a big part of our allure. People really do appreciate that. They've grown up with us, and they'll always know they can head to their local store and our drinks will be 99 cents," Vultaggio said. So now there are THREE inevitabilities in life, aside from death and taxes. But only one will quench your thirst, and cost less than a dollar! Well, I guess death would do that, too. Anyway -- it's the best of the three, for sure.